Following the second season’s shocking conclusion nearly two years ago, the BBC/ Netflix series “Peaky Blinders” finally returns to television riding a critical high in 2016. In the new batch of six episodes, a lapse in time occurs after Churchill’s man stepped up to save Tommy from execution. 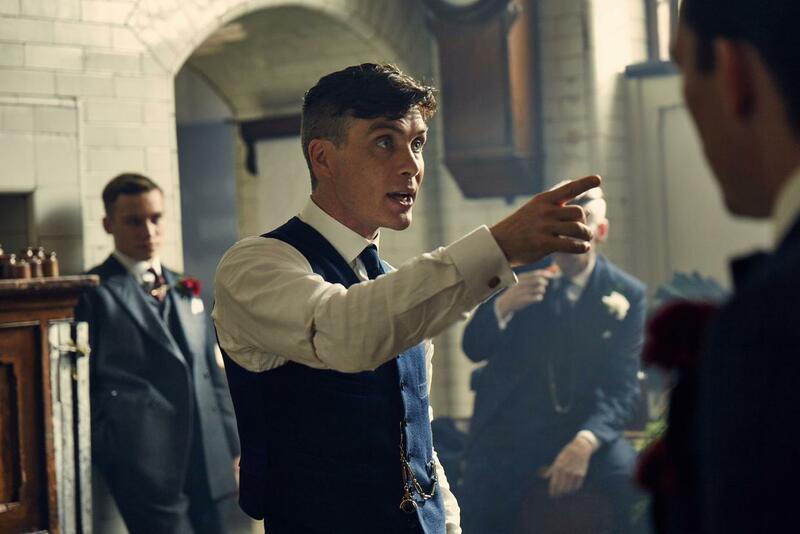 Jumping ahead, Tommy Shelby, leader of Birmingham gang the Peaky Blinders, prepares for his wedding day. The viewer quickly learns that Tommy’s wedding, while stressful, pales in comparison to the long list of bad deeds and business that already plague him. Across six episodes in 1924, the Small Heath gang deals with: runaway Romanovs concealing Russian royal jewels, a railroad explosion, assassinating a powerful religious figure, a potential Communist uprising, an underground tunnel and robbery caper, the abduction of a child, the seduction by a talented painter who may or may not be a spy, and so much more to keep the viewer watching. The immensely-loved British series continues its fast-paced, intelligent, suspenseful, and witty tradition with six hour-long episodes in 2016 that culminate to an ending nobody can see coming for the Shelby family. No more Major Campbell, no problems. Cillian Murphy (Batman Begins, Red Eye) continues to lead the series as Tommy Shelby, the perpetually cool, stoic, and unflinching leader of the Peaky Blinders and their legitimate business, the Shelby Company. As it always goes, Tommy’s business dealings, legit or not, serve as the series’ primary narrative. He follows up his arrangement with Churchill by figuratively (and perhaps literally) getting into bed with a runaway Russian duchess who wants to arm Cossack soldiers in hopes of reclaiming Mother Russia from the Bolsheviks. Luckily, this offshoot of the royal family managed to flee with some family jewels to pay for such an arrangement. Tommy also must contend with a despotic, backstabbing priest who enters his midst and joins the table conversation concerning the Russians. Fans of Sophie Rundle’s (Great Expectations, The Face of an Angel) Ada finally find satisfaction that her communist ties finally become a part of the plot to help Tommy find out as much as he can about the arrangement between the priest and the Russians. Writer/ creator Steven Knight (Locke, Redemption) spends a few scenes establishing the Russian revolution and absolutely nails it. (One of the few inaccuracies concerns the show’s minor role of the republic of Georgia.) “Peaky Blinders” continually receives praise for depiction and accuracy of world history, and the pattern continues in series three. For example, the new character Duchess Tatiana (Gaite Jansen—Rotterdam, I Love You, 170 Hz) explains the Khylsty sect—a known sexual Russian religion during the time period—in the middle a compromising demonstration. The wardrobe alone for all the Russian characters, royal or Cossack, looks incredibly detailed and certainly adds credence to the series’ acclaim for bringing 1920s Birmingham, England, to life. Historical references hit a pleasant climax in the fourth episode, when the ladies of the Shelby Company take a day off and step out to protest for economic and social equality with all of the other working women of Birmingham. Tommy’s right-hand men/ brothers, Arthur and John, come back for the third series, as well. Paul Anderson (The Revenant, In the Heart of the Sea) provides the best performance among the cast this year as the tragic Arthur. Hazarding an attempt to do right by his pious wife Linda while also staying true to Tommy and their illegal roots, Arthur spends the latest six episodes toeing a line he can’t hope to maintain. He’ll have to stay a drinking, fighting Peaky Blinder a little bit longer in order to accomplish his wife’s religious aspirations of one day moving to America to share the gospel. Joe Cole (Green Room, Secret in Their Eyes) continues the role of John with his brand of over-confidence, hot temper, and a stoicism that resembles Tommy’s. Growing older while earning more and more of Tommy’s respect, John begins making executive decisions and speaking his mind a lot more now with the biggest growing family among his brothers. From start to finish, Helen McCrory’s (Skyfall, “Penny Dreadful”) Polly puts herself in a torrid relationship that may break her hardened heart. McCrory’s performance also stands out among the cast as the family matriarch, sick and tired of seeing her family beaten to an inch of their lives—especially because her son, Michael, takes a more prominent role in the Shelby Company this year. Finn Cole (“Animal Kingdom,” “An Inspector Calls”) has much to do as Michael, the accountant and educated one among the Peakies. Michael finds himself nearing the point of becoming Arthur and John’s whipping boy while handling some troubling personal issues he struggles to hide from his family. Joining “Peaky Blinders” in 2016 are several established European character actors. Alexander Siddig (“Game of Thrones,” Kingdom of Heaven) plays Ruben, a lonely painter who isn’t afraid to express a romantic interest in Polly. Ruben meets Polly at one of Tommy’s legitimate event parties. A stranger to all characters, he struggles to gain Polly’s trust throughout the year while simultaneously seducing her/ painting her portrait. Paddy Considine (The Bourne Ultimatum, Hot Fuzz) joins the cast as Father Hughes to replace Campbell as the primary antagonist. A key cog in the arrangement with the Russian royal family, Hughes puts Tommy directly at odds with family and other allies if he is also to protect them. Unlike Campbell, the Father represents pure evil as a despotic traitor who preys on orphaned children. Wright’s series never shies away from suspicion of religion. Jansen’s Duchess Tatiana meets with Tommy at times to represent the Russian angle of the overall explosion/ armament/ jewel exchange arrangement. While viewers meet other Russian royalty characters, Tatiana makes no mistake about her intentions with Tommy. Her performance demands attention in every scene because of her wild card nature, capable of committing any atrocity because exorbitant wealth keeps her in a bubble. 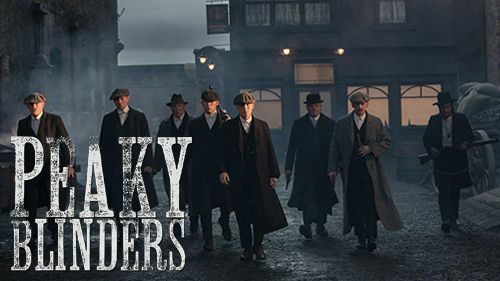 Already renewed for two more seasons (or series, in Great Britain), “Peaky Blinders” continues shining on BBC in the United Kingdom, and Netflix stateside. Taking a year and a half to produce the third season paid off to make sure every last detail received necessary attention. Jumping ahead in time and adding several new personalities without sacrificing homage to history keep the Cillian Murphy-led drama in the top tier of quality television. Music from Nick Cave, David Bowie, and Leonard Cohen create the perfect atmosphere for an uncertain city in an industrial age while a powerful collective performance from the cast at the center of an elaborate, insane caper culminate to six episodes one can’t help but binge. Like an aged Michael Corleone, war hero and gang leader Tommy Shelby keeps getting pulled in to crime right when he thinks he’s out of the racket for good.